FATMAX® Tool Back Pack features 50 Pockets/tool holders for a wide variety of tools, including longer tools on the side such a level. 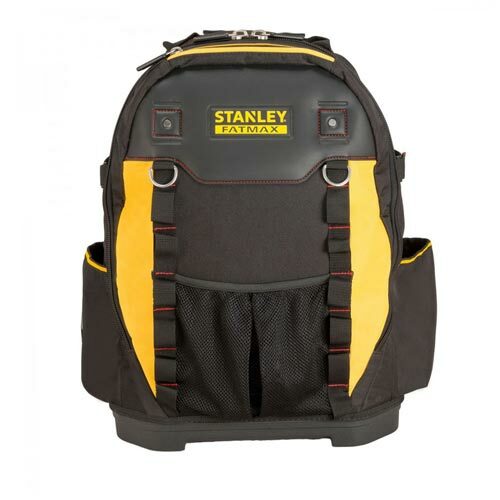 Back support system and air mesh shoulder straps for ergonomic, convenient carriage, helping to spread the weight of tools instead of lifting in one hand. Dual zipper closure enables opening from every end. Durable 600 x 600 denier fabric, removable tool caddy/dividers system with tool holders is easily detachable, with handle for easy carriage. The backpack spreads to form a work surface, its rigid form can stand in open position enabling access to all tools. 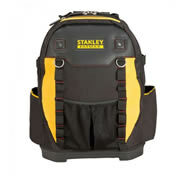 Separate, strong compartment for power tool or laptop and a waterproof plastic bottom protects against moisture and dirt. "I bought 3 of these rucksacks 18 months ago. They are all still in great condition even though they've been well over filled. They are virtually waterproof and comfortable even when full. Good value too. " 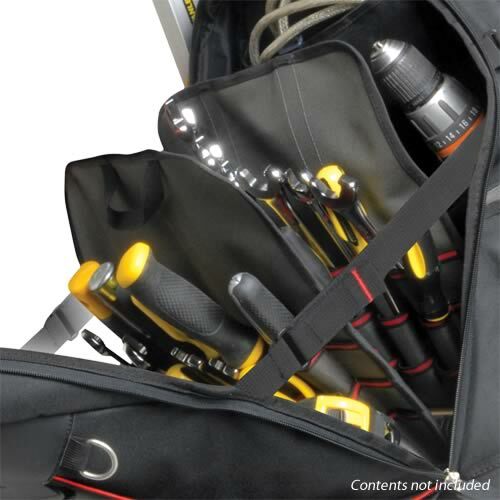 "The best tool bag I have used, well made and leaves your hands free to carry other things"